The trees - two silver birch, two rowan, and a hazel – mark Her Majesty’s lifetime of service to the Commonwealth and will be looked after by Volunteers from the park, who were recently awarded the Queens Award for Voluntary Service. The five were donated to Bob through a partnership between the Woodland Trust, Sainsbury’s and ITV. More than 500 other MPs are also planting their trees in their constituency to mark the Queen’s Commonwealth contribution and to help the environment. 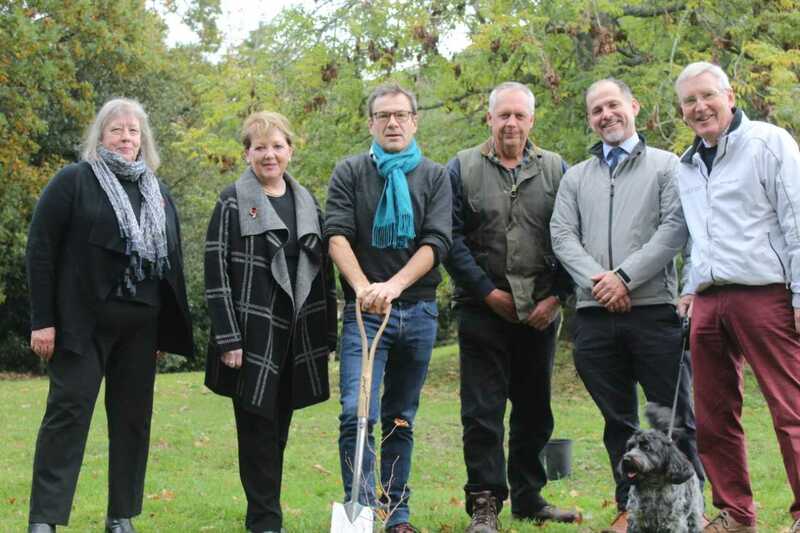 “More than 2500 British grown trees will be planted across the nation by myself and my colleagues and doing so will mark her Majesty’s unstinting service to the Commonwealth over more than six decades while also helping the environment and offering beauty to an area,” said Bob.